I have many faces at Lingoing. My main role is booking coordination so I am the first person of contact for our clients and suppliers and together with my great colleague Ovais we make sure we match the best interpreters with most suitable jobs. I am also an office administrator, which means I help everyone with whatever needs to be done on a daily basis. From business research, filling out grant applications, helping the worlds finest finance team with invoicing, arranging meetings for my super busy directors or watching cute dog videos on Youtube with our in-house rocking interpreters, I am there for them! What I enjoy the most is to get involved in the company’s social media. I like to see how the whole team is engaging in creative ideas and I am very hopeful for our new website and promo video. I am excited to be a part of the vision! On my daily routine I have my hands full with lots of tasks and I am grateful for new challenges everyday as they make me grow. Although I haven’t really expected I would ever join the deaf and signing community in London, I am really glad it’s happened. It has always been crucial for me to have a meaningful job and Lingoing is a startup that wants to make a difference in the community. I joined the company three months ago and already I have started my BSL Level 1 course, which is such super cool and fascinating language. I am very much inspired by the founders Saduf and Sad and I admire their style of work. It is amazing how they are able to motivate the whole team to put their minds and hearts into the work. 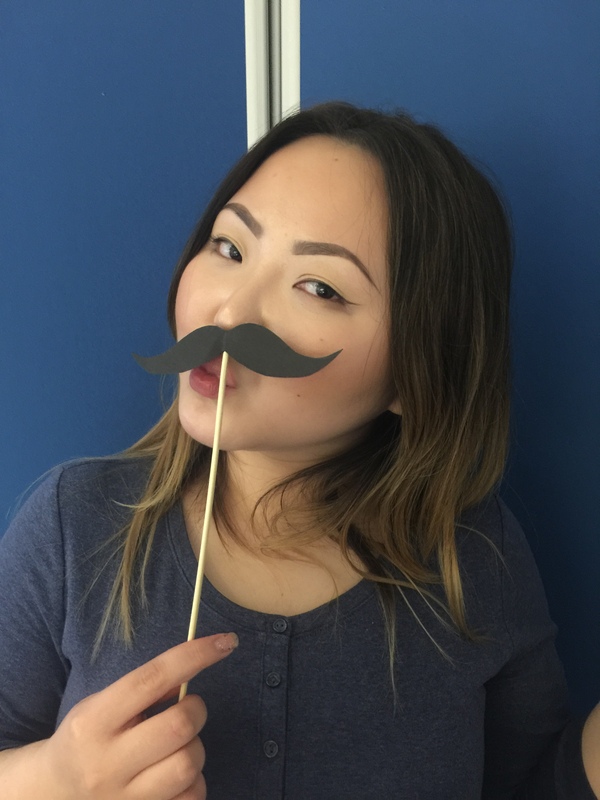 It is such a vibrant, creative and focused environment and most importantly, it feels like everyone at Lingoing are not colleagues but friends. I always keep myself busy, either volunteering at the human rights festival, training in self-defence or meditation. In my free time I travel and try new things like bungee jumping or air riffle shooting. I love stargazing with my boyfriend and we recently enjoyed the lunar eclipse. My most favourite things in the world are British bacon and Polish beer. In my dreams I am a secret agent therefore I love a good spy movie. I am looking forward to the new James Bond flick coming soon! 5) What is the worst food you’ve ever eaten? I remember my first holidays in Italy with my mother, when I was 12 and we had some seafood in Venice. I had a bite of a small and cold octopus’s head and that was enough for me. It tasted as horrible as you could imagine. Wait for Ovais’s worst food though! Huge Lipreading Awareness Week celebration is going on at Lingoing’s office. We started from innocent lipreading jokes (what did I say? I Love You? Or… Elephant Poo???) and continued with encouraging our friends to shave off their moustaches. We actually realised that in general people do not know much about lipreading. Therefore we put together these 5 little tips for lipreading newbies and provoke the #ReadMyLips Challenge! 1. Look at the person and make eye contact. It is crucial to ensure that the person knows you’re talking to them. 2. Dooooon’t slooooow dooooown and dontspeedup when talking – it doesn’t make it easier to understand. 3. Don’t overpronounce – seriously, you don’t need to stretch your lips and facial muscles to unnatural grimaces. Doesn’t it hurt? 4. Speak normal. Just like you do. As simple as it sounds. 5. 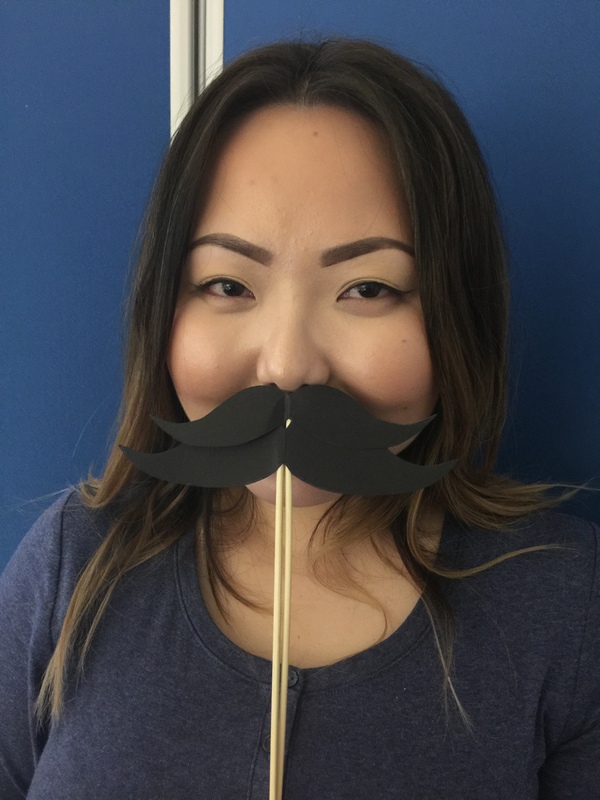 Shave off your moustache! 🙂 (or at least, make it tidy). A little bit too much of facial hair covering your lips makes it all more difficult to lipread. 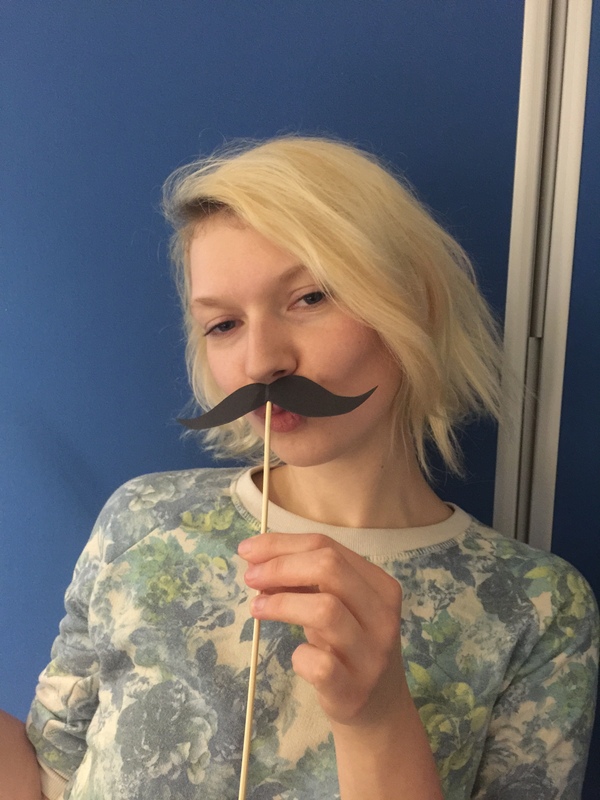 #StashYourTash now and show us your ‘before’ and ‘after’ selfie! Whatever you do, don’t forget to hashtag it: #ReadMyLips ! 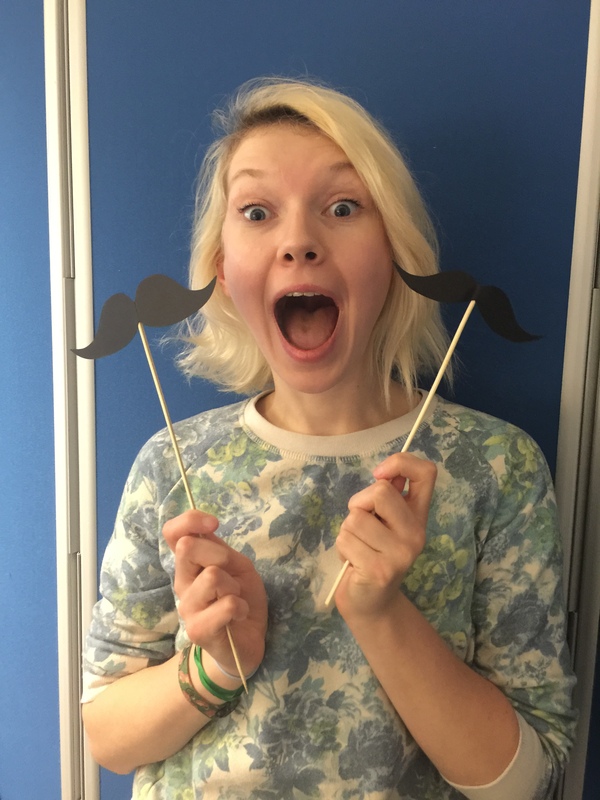 Show us your best moustache for Lipreading Awareness Week! 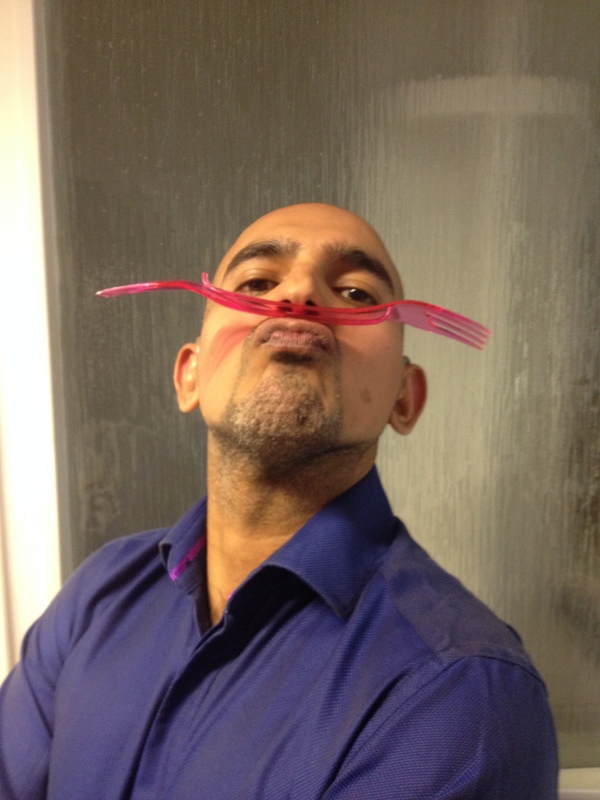 Or… shave it off if you’re brave enough! September is Deaf Awareness month and this week we celebrate Lipreading Awareness! 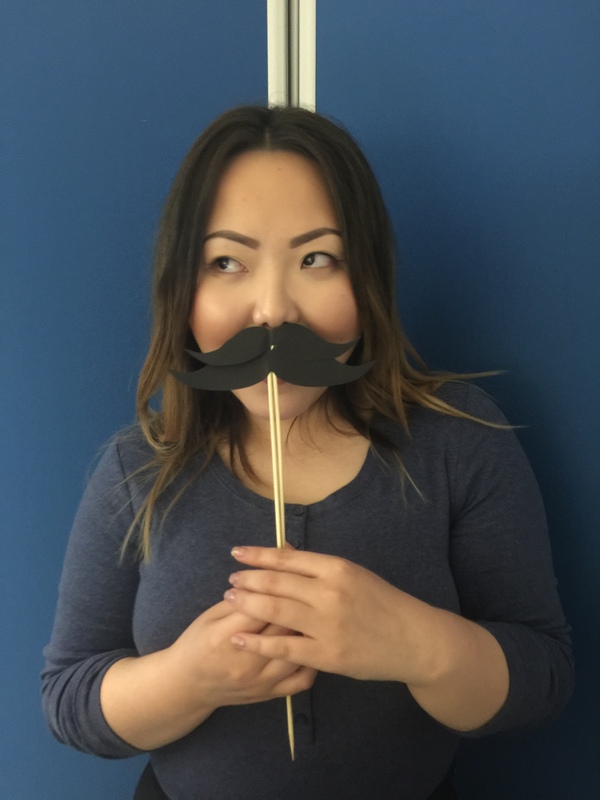 Did you know that lipreading can become all the more difficult with the amazing varieties of facial hair? 😀 But not too worry – with a little love and gel you can pull it back and make it a little easier for our fellow lip readers. Visiting the Empathy Museum – How does it feel to walk in someone else’s shoes? Have you heard about the Empathy Museum? It is an experimental project created by cultural thinkers, curators, entrepreneurs and scientists. 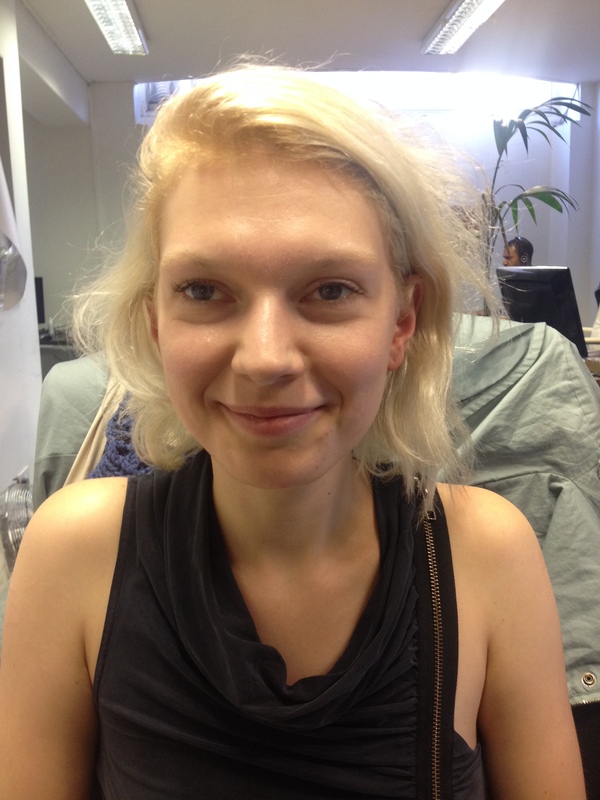 Their aim is to boost the audience’s empathy and transform the way we perceive other people. 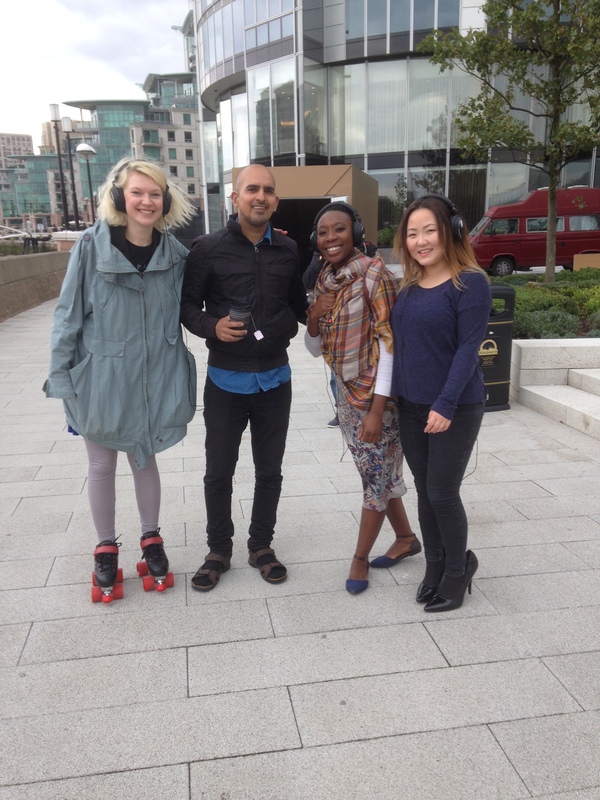 The Empathy Museum launched last Friday with ‘A Mile In My Shoes’ a pop-up exhibition in Vauxhall on the bank of the river Thames as a part of Totally Thames Festival. 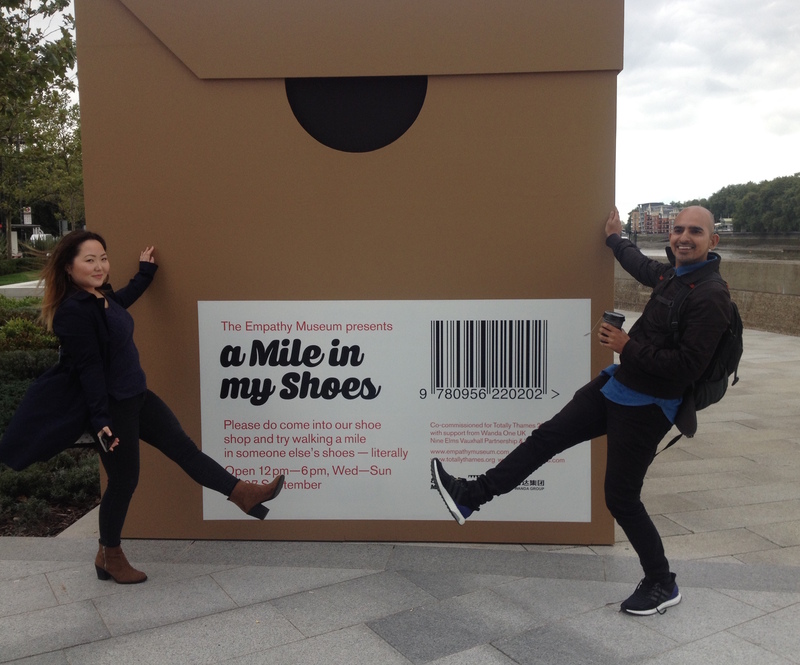 At Lingoing, we appreciate empathy is a crucial factor of social inclusion therefore we were very interested in the project and decided to take a day out and visit the ‘A Mile In My Shoes’ exhibition. We were very surprised when we reached the place to see a giant shoebox at the riverside! Inside there were many shoes which each carried stories of other people’s lives and experiences. You could wear any pair you liked whether they fit or not! (that was interesting!) You were also given a pair of headphones with an audio recording of a life story of the shoes owner. 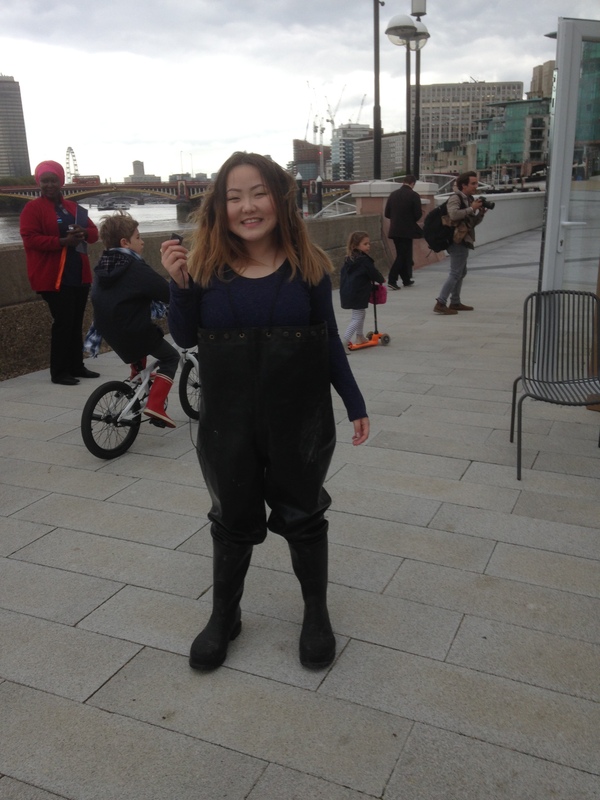 You could literally put yourself in someone’s shoes, have a walk by the river, listen to their personal stories and dive into their experience. 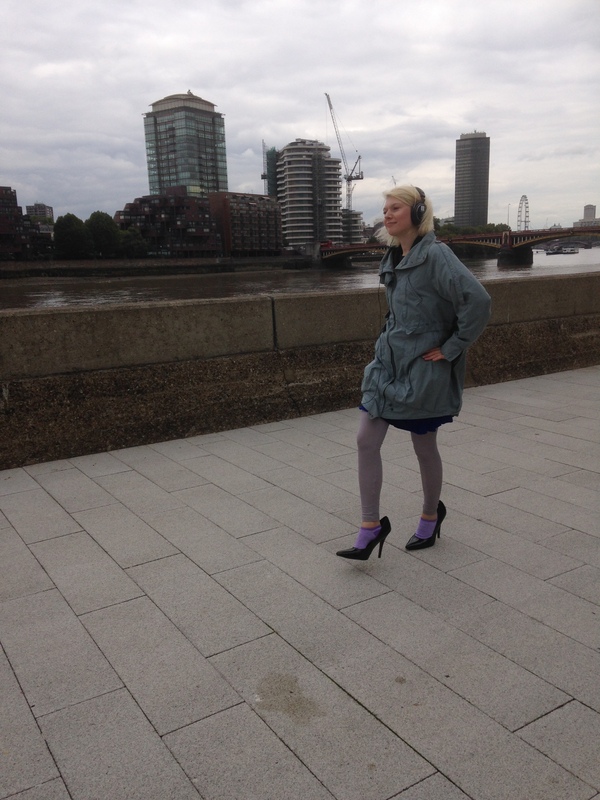 We were very excited, we tried the size 12 high heels of a drag queen called Timbelina, a pair of roller-skates from a sportswoman, the sandals of an old actor and some of us were even brave enough to have a walk wearing rubber shoes of a man who worked in London’s sewers! We had lots of fun and we thought this kind of exhibition was a very clever idea to let the audience embrace other people’s experiences. It was great because our deaf members of staff could also share this experience, as the audio recordings were interpreted for them by our amazing interpreters. Wearing someone else’s shoes you let go of your judgments and your stiff ideas; having their shoes on your feet and hearing their voice in your head makes it both a physical and emotional experience that allows you to re-discover that we are all the ‘same same but different’. It was an extraordinary team-building activity and it gave us some ideas on how to maybe organise a deaf awareness experience for hearing people in the future. The exhibition is there until the 27th September and it is open 12pm – 6pm every day apart from Mondays and Tuesdays. The location address is: Riverside Gardens, Nine Elms Lane, SW8 2DU.